If you love history and nature, you will love Jabalpur. One of the major tourist destinations in the state of Madhya Pradesh, Jabalpur elevates your spirits with its stunning landscapes and ancient history. Evidences of human existence in this land dates back to 300 B.C. The historic monuments reflect the splendid architecture and the rich cultural heritage of the bygone era, which is a delight to everyone that loves history. Majestic mountains, scenic waterfalls and rivers captivate nature lovers. 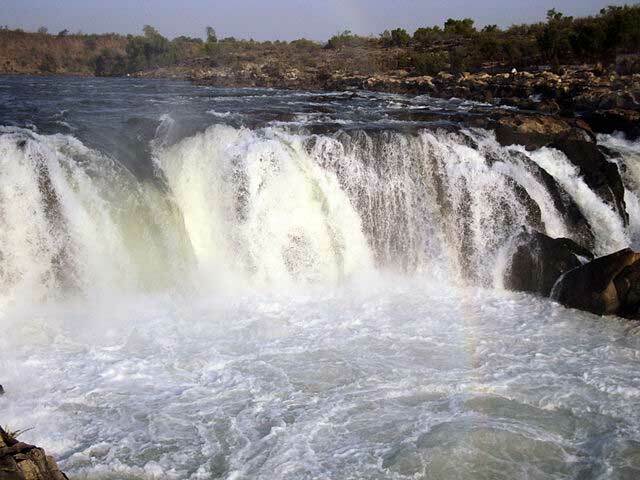 Here are the top tourist attractions in Jabalpur. Smoke Cascade as it is rightly called, Dhuandhar Falls, is situated 30 kms from the city. River Narmada, considered as one of the most important holy rivers in the country falls down from a height of 98 feet forming Dhuandhar Waterfalls. The name of the waterfalls in itself is suggestive of what you could expect there. The term ‘Dhuan’ means smoke; as the river falls down with force on hard rocks, you could see visuals of smoke arising, which gives the waterfalls the name. Yet another star attraction here is the marble rocks. Since boating facilities are available, you can have a whale of a time here. Bhedaghat is located 25 kms from Jabalpur. The place is famous for boating on River Narmada as you get to sail between the beautiful marble rocks. 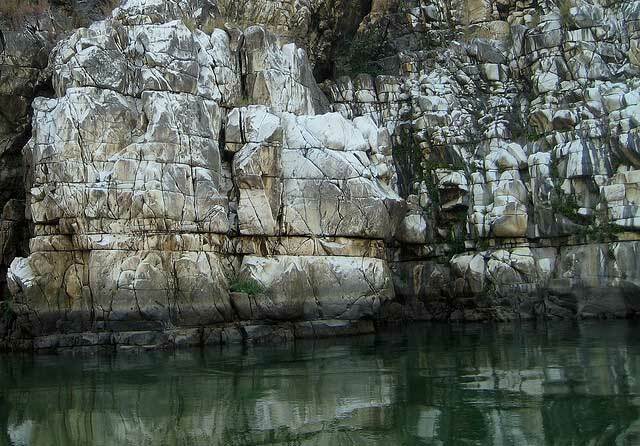 The glittering marble rocks stand tall and proud at a height of about 100 feet on either side of River Narmada. Moonlit nights make a perfect scenario here. Rowing along the river with silence filling your ears as your eyes take in the moon shine on the marble rocks is a lifetime experience, which you cannot afford to miss. Madan Mahal Fort, a construction belonging to the 11th century, is a stunning example of the architectural splendor of the past. The fort does not share the likes of other forts in the country. It had a purpose when it was built and it served the purpose. Constructed by Madan Shah, son of Rani Durgavati, a Gond ruler, the fort served as a watch tower during the reign of the queen. 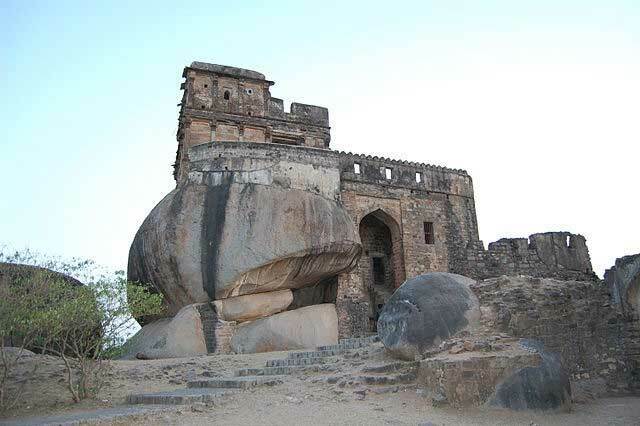 Situated at a height of 500 meters, the fort offers an excellent view of Jabalpur. 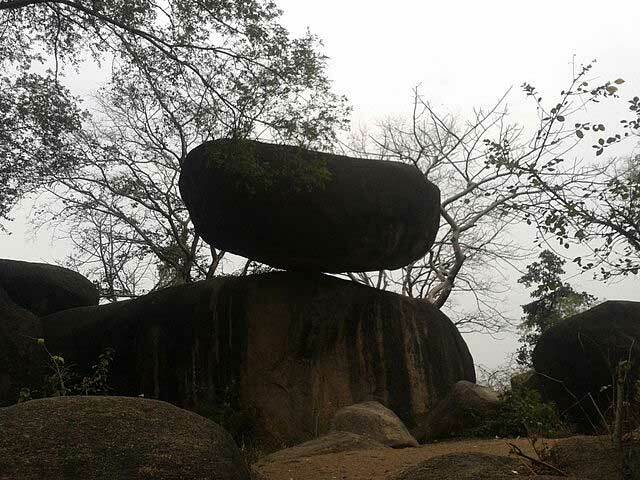 On your way up to the fort, you will come across the Balancing Rock, which is a huge rock on a small base. The precarious position of the rock makes you doubt your eyes. The rock had not shifted even when there was an earthquake of 6.5 magnitudes. Geologists state that the rocks are one and not two. It is said that it was one sandstone rock dating back to millions of years. With the passage of time, it has weathered to look like two. The theory apart, Balancing Rocks is worth the visit. 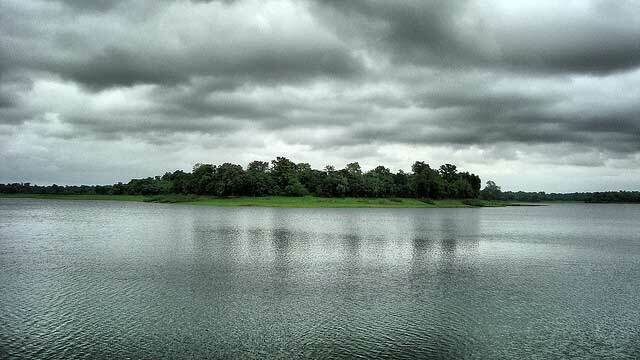 Bargi Dam is situated about 40 kms from Jabalpur. It is built on Narmada River and is one of the first dams completed among the 30 dams proposed to be built on River Narmada. Boat ride here is a pleasant experience. Make sure you are here in the evening to watch the sunset, which is beyond description. It is a perfect place to relax and enjoy the gentle breeze as your eyes savor the picturesque setting. Spanning an area of 1058 hectares, Dumna Nature Park challenges you to explore its length and breadth. The place is situated 10km from Jabalpur. This eco tourism site is home to a wide range of wild animals including jackal, spotted deer, leopard, wild boar and porcupine. It is also a bird watchers’ delight as migratory birds flock in here. It also has children’s park, restaurant and a fishing platform. Rani Durgavati Museum was built in the year 1964 in memory of Queen Durgavati. The museum houses collections of historical sculptures and the possessions of Gondwana dynasty. Some of the sculptures here date back to prehistoric times. Situated on top of the hill, the 10th century temple is a glowing example of ancient architecture. Circular in shape with 125 feet diameter, the temple attracts believers and others alike. Images placed on its pedestals can be associated to three different periods. A particular type of images belongs to Kushana period, the other to post-Gupta period and the third set belongs to Kalachuri style that existed between 10th and 13th century. You need to climb 108 steep steps to reach the temple. 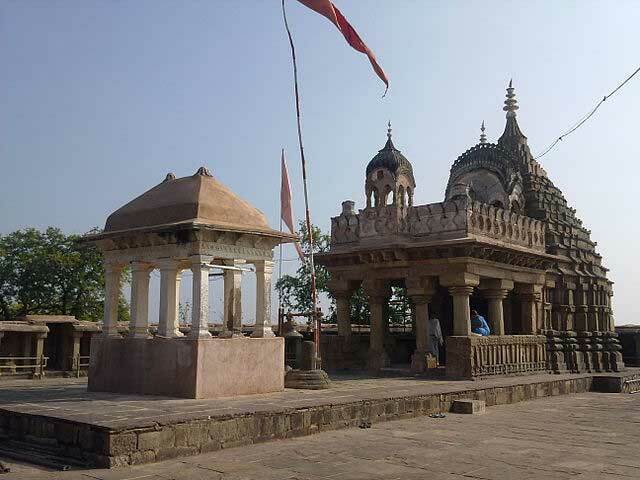 Pisanhari Ki Madiya is an important pilgrim center of followers of Jainism. It is said that the temple was built about 500 years ago by a poor lady after hearing the preaches of Jain monks. The lady earned her living by grinding wheat flour using grinding stones. Since the lady did not have the money for placing gold pots on temple tower, she placed her grinding stones on top. The act of sacrificing the only income source she had made people call the temple Pisanhari Ki Madiya. Pisanhari means woman who prepares wheat flour using manually operated stone mill. Bastar Palace, also called as Jagdalpur Palace is one of the most frequented tourist destinations in Jabalpur. The carvings on the walls and ceilings are exquisite. The palace is surrounded by lush gardens. If you happen to be here during Dussehra festival you would be enchanted by the sight of the palace, which is lit by a number of lamps. If you are looking to buy some articles for keepsake, you will find Haat Bazaar near the palace to be the right palace. The bazaar however functions only on Sundays. It is obvious that the 10 places mentioned is only an attempt to highlight some of the best features of the land. There is more to explore and more to write about. May be my next visit will help me come up with more. May be, I will hear from those of you who have been to Jabalpur. Whichever is first is sure to find a place here for everyone’s benefit. I enjoyed thoroughly Rohit’s write up n intend to visit d places mentioned here . Will September be d suitable month to get a proper glimpse of d places ideally..? What is best season to visit Jabalpur and its surroundings andhow to reach jabalpur by train. Very nicely brief selected places and useful for my next visit. nice list Ravi, we are going to Jabalpur tomorrow this list will help a lot as we want to priorities. Sir by mistake you have mentioned Bastar Palace .it’s not situated in Jabalpur or even in Madhya Pradesh. It is in Jagdalpur not Jabalpur.